After establishing its worth as an intelligent model-based process which can facilitate resourceful insights to AEC (Architecture, Engineering and Construction) professionals, BIM is emerging as one of the best tools in the construction industry. Using BIM construction professionals can efficaciously plan, design, manage and construct the buildings and other infrastructure. While the 3D model of BIM gleaned a lot of appreciation, its 4D & 5D intelligent and information-rich models are also being valued by the construction professionals and contractors alike. 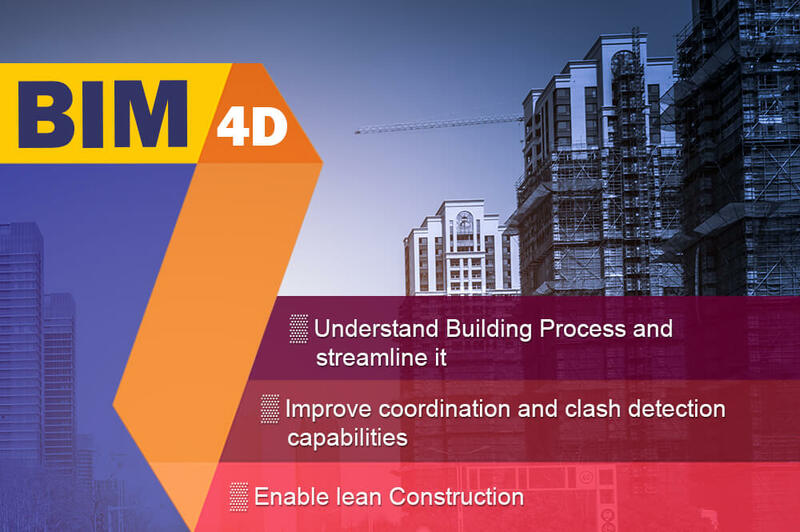 Here are the top benefits of using the 4D/5D BIM for the construction project. Effective streamlining of activities from the MEP, structural and architectural disciplines is possible only if the time and schedule of the activity is known. The 4D BIM generates the information pertaining to the building products while creating a step by step visual development for the right estimation of time. For the different building components, the 4D BIM incorporates the time-related information like installation and construction time, lead time, allowances for mixing and drying period along with the interdependency with the other products. 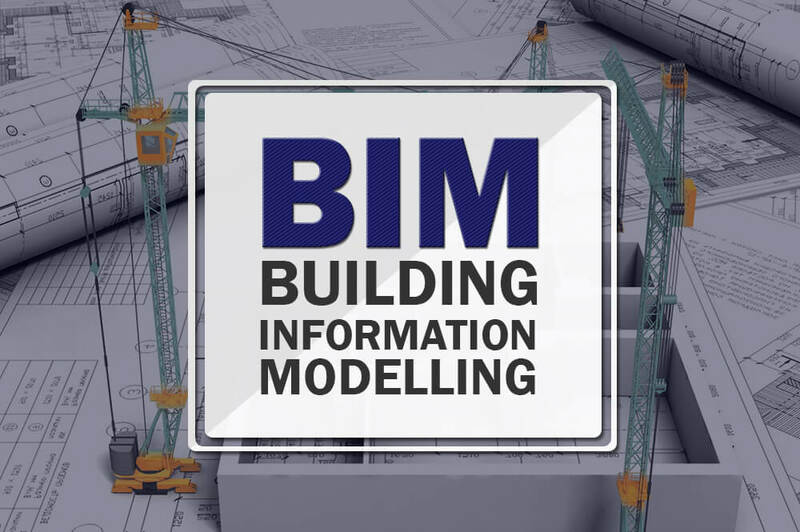 The 5th Dimension of BIM links the cost data together for accurate estimation of cost and planning. The manufacturer and quality details of construction material with the quantity takeoffs generated by the higher level of detailing enable cost estimation datasheets and documents for placing the bids. One can retrieve the exact quantity of the building components from the as-built models and then, can compare it with the current purchasing rates for estimating the cost of the entire structure. It helps in saving valuable time yet enables to calculate the cost of the complete project. Furthermore, whenever a single component gets changed or replaced, its direct impact on the cost can easily be calculated. The properly planned data in the form of data sheets and graphs enable the construction managers to appropriately allocate their resources to ensure the completion of the schedule within a stipulated time. With 4D & 5D BIM, one can make the optimum utilization of each resource and efficiency of each resource can be gradually increased to achieve ideal deployment of resources. One of the core principles of deploying the resources strategically is that one activity should not affect the other. As 4D/5D BIM helps in collecting information pertaining to the exact scheduling of the cost and each activity, the contractors can easily reach all the milestones without missing a deadline. However, unavoidable situations can arise, but the rework can be minimized and the unnecessary traffic can be avoided. The 4D/5D BIM also helps in providing adequate information to each person involved in construction about his/her role, and the specific responsibilities during the different phases of the construction project. Conclusively, the 4D/5D BIM help in developing better control over the two most difficult aspects of construction – cost and time estimation. Moreover, with the integration of cloud technology with BIM, the project managers and construction contractors can access the data from anywhere to instruct their subordinates about the progress in the construction. The BluEntCAD has a team of experienced professional who excels at time and cost estimation of the construction projects by leveraging the 4D/5D BIM. We use the advanced technologies and prove methodologies, we deliver the correct estimates to our clients. Connect With Us to know more about our 4D/5D BIM services.